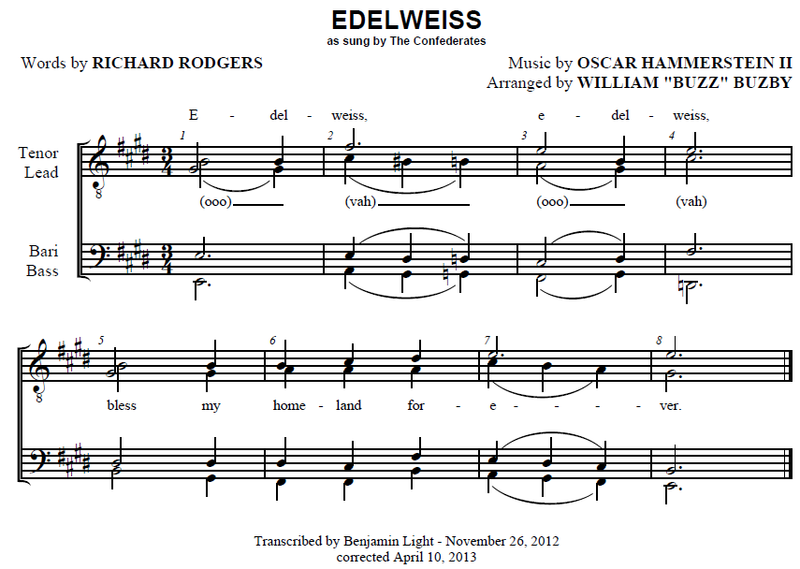 Lyrics: Edelweiss, edelweiss. Bless my homeland forever. Comments: Transcribed from an old afterglow recording of The Confederates, 1956 International Champions. You'll notice the mp3 of the tag and the YouTube video aren't "quite" in the key of E, but it's pretty close. 1956 was a bit before pitch correction.